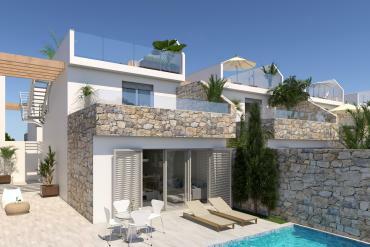 If you want to buy a property that is modern, that is spacious and that offers numerous qualities for your coexistence, come to know our villas for sale in Los Alcazares - Murcia. Casas Espania Real Estate offers you the possibility of fulfilling your dreams through a varied and extensive catalog of villas in Costa Calida (Murcia). 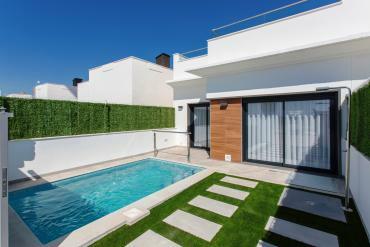 To be more exact, our real estate agents offer you 25 great and incredible villas so you can choose your new home. 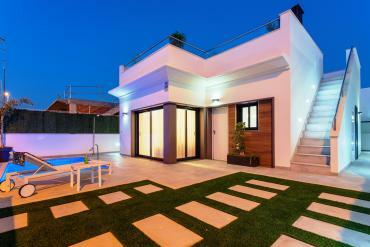 In our villas, you can achieve that well-being that you have always wanted. You will get up happier and your relatives will be more comfortable than ever. The reasons for this are, for example, the green areas surrounding the property. 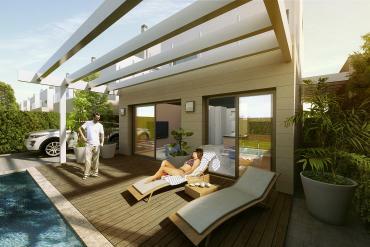 A landscaped area that will give you that sense of closeness that every owner wants. In addition, it is an ideal area for your family to play or you can make those family gatherings you want so much. 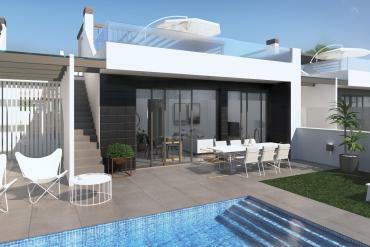 In our web of villas for sale in Los Alcazares - Murcia you can choose one that has amazing sea views. We offer villas located in strategic points so you can wake up every morning and face the day with desire to see beautiful views of the sea. Another factor that you will choose to bet on our villas in Los Alcazares are their rest areas for sunbathing or their private pools. You will have the opportunity to make the most of good weather, sunbathing on your terrace or cooling off in your private pool. As you can see, there are many advantages to buying one of our fantastic properties. We advise you to take a look at all of them, and if you have any questions, consult us without any commitment. 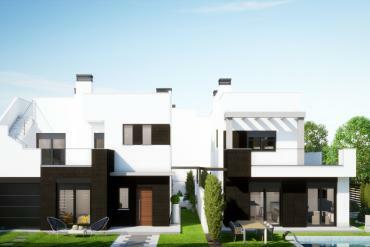 In Casas Espania we want you to be convinced to buy one of our villas for sale in Los Alcazares - Murcia. For them, we inform you that you can contact us and ask any questions that may arise. 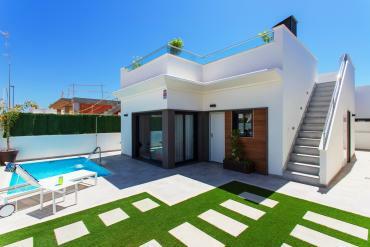 You can come to meet our real estate agents in Avenida de la Libertad 102, Los Alcazares, Murcia, Spain.